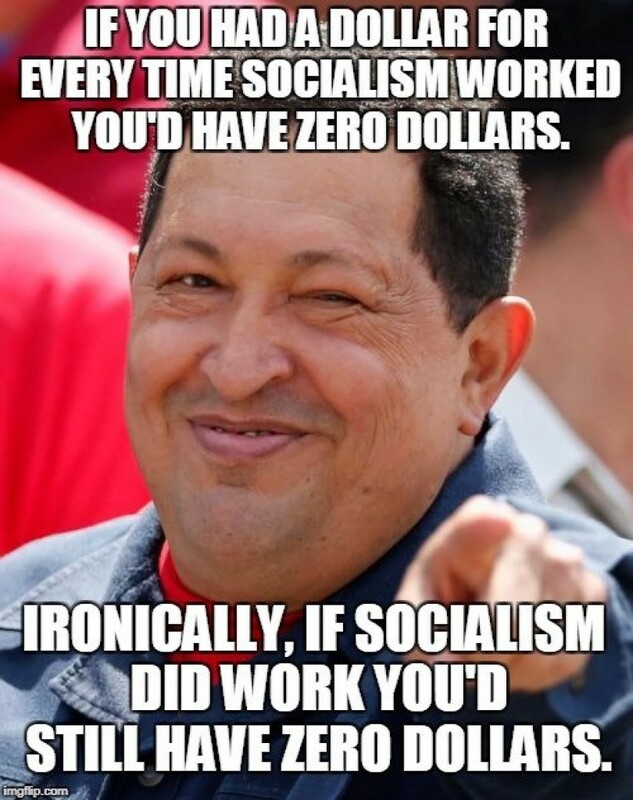 Time to add to our collection of socialism humor. We’ll start with a look at where our leftist friends go for vacation. Actually, we know that leftists are often hypocrites. 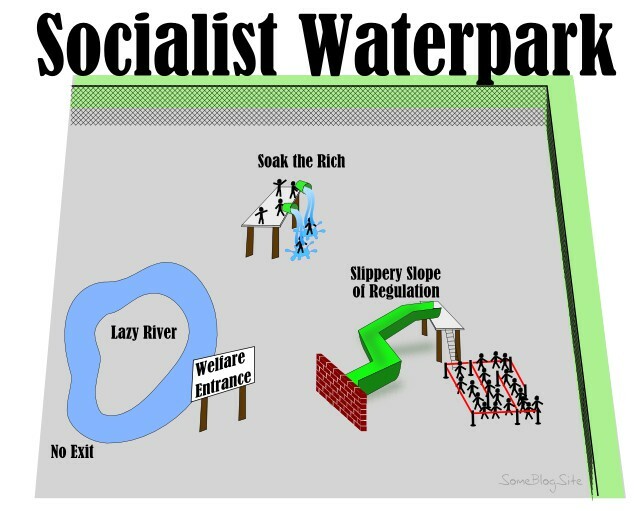 The waterpark is where they want us to be stuck. 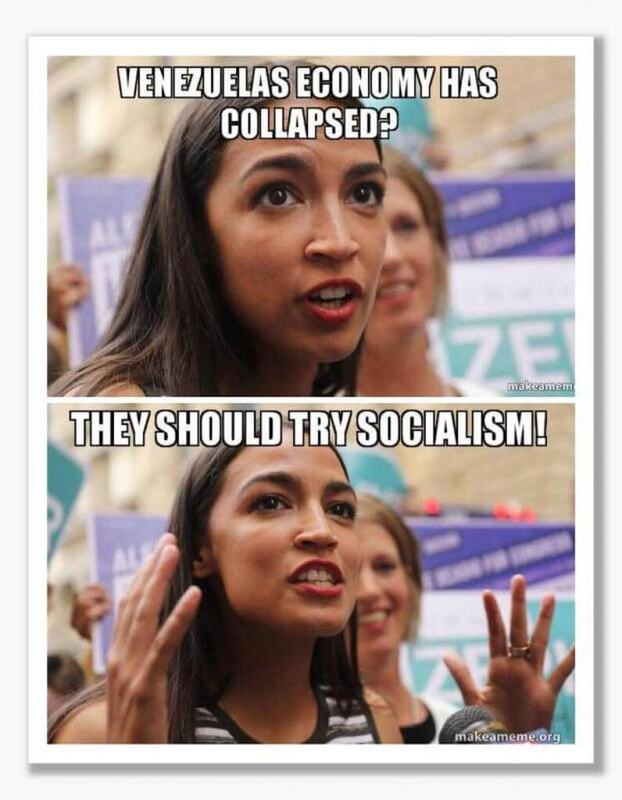 Let’s now look at Alexandria Ocasio-Cortez‘s brilliant observation about rescuing Venezuela’s crippled economy. Speaking of Venezuela, this image is both funny and clever. Though there is an exception to the rule. The leaders of socialist regimes manage to accumulate (i.e., steal) a lot of wealth. 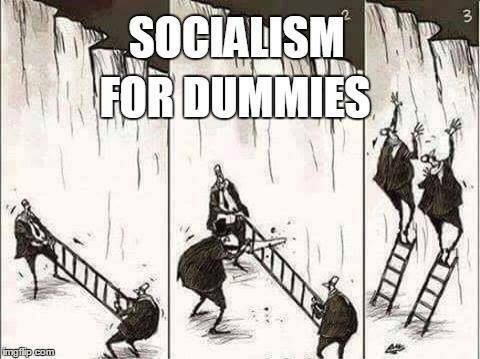 And here’s an example of socialist thinking. For obvious reasons, it reminded me of this Chuck Asay cartoon. 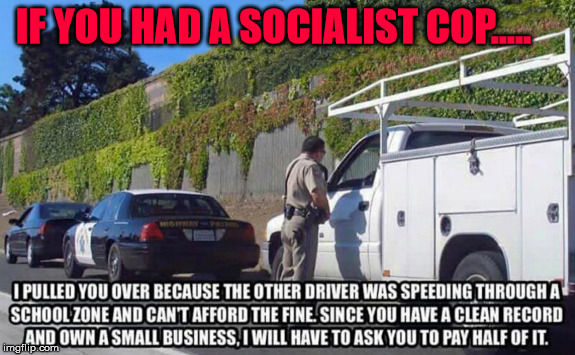 Let’s close with this image of socialist policing (as opposed to libertarian policing). By the way, I will freely confess that I’m sympathetic to class-warfare-based fines for speeding. But not because I hate the rich. Instead, I think that will be a way of protecting the poor from predatory policing. I know it’s a joke, but there be utilitarian dragons. Don’t go there. I imagine if fines scale with ‘class’ then the more well off could afford the insurance due to having higher disposable income. It would also make the wealthy, more conscious of law enforcement, and might get them to support politicians who would scale back all the little regulations and special interest laws that result in the fines in the first place. I’m afraid class warfare based fines for anything will lead to abuse. Police will target nicer cars hoping to generate more revenue. This means you’re transferring predatory policing to another class, not preventing it. On the other hand, it could create a market for a new insurance product to pay enormous fines, but since I already pay more for all the types of insurance I need, than I do for my house payment, I’m not sure I’d be all that excited about higher fines.